The United Nations Special Rapporteur on Torture, Professor Juan Mendez, once stated that the “perspective of victims of torture must be at the center of all efforts to implement the UN Convention against Torture”. But how do we know their perspectives? Where are the voices of torture survivors? With Beneath the Blindfold, filmmakers Ines Sommer and Kathy Berger set out to counter the ‘blind spot’ in our national conversation about torture by focusing on survivors’ personal stories, insights and struggles. Torture survivors know first-hand the destructive and long lasting impact that torture has had on them personally, on their families and communities. Since torture has always taken place in interrogation chambers that are hidden away, and the human suffering it causes is easily ignored, it differs from many other human rights violations. It is not likely to be recorded on someone’s phone camera or tweeted. And survivors often feel too vulnerable to come forward to tell their stories -it’s not the easiest conversation to have and what haunts many of them is what they remember being told by their torturers: “No one knows where you are. No one can hear you. And no one will believe your story”. Beneath the Blindfold strives to break that silence. There are over 500,000 torture survivors living here in the United States. They are among the refugees and political asylees who have sought safe harbor here. Filmmakers Ines Sommer and Kathy Berger first met the survivors through some of the centers that treat torture survivors. These centers offer psychological counseling, assist with asylum hearings and other support services designed to help survivors reestablish life their new country. Some of the survivors in Beneath the Blindfold fled to the United States from war torn countries and one of the survivors, an American, came back to the very country that tortured him; the United States. All of them were tortured for different reasons. 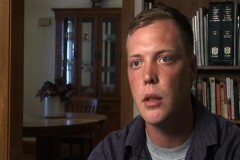 Their lives before the war were different from each other and their path to healing is varied. What they hold in common is the struggle to make new lives for themselves while healing their deep physical and psychological wounds. It is a long road towards recovery and, as one of the experts in the film says, “They will never be who they were before”. The survivors invited the filmmakers into their homes and interviews revealed the impact torture has on spouses, siblings and children; nightmares, frightening flashbacks, and ongoing medical problems are a frequent result of torture. The filmmakers also witnessed great strength, dignity and hopefulness in each and every survivor. The survivors and experts in the film help to counter much of the misinformation about torture’s effectiveness while deepening our understanding about the psychological, political and historical dimensions of torture. They participated in this film because as painful as it was for them to recount their experiences, it was more important to add their voices to the swirl of complacency and lack of accountability. The filmmakers are grateful to all of them for their courage. Originally from Liberia, Blama Massaquoi was 15 years old when he was forced to become a child soldier in dictator Charles Taylor’s army during that country’s bloody civil war. Blama was almost immediately captured and tortured by a rebel group that forced him to drink a caustic substance, which destroyed his esophagus. Blama spent several years on feeding tubes in African hospitals before coming to Minnesota, where he underwent reconstructive surgery. Hector Aristizabal is a theater artist, therapist, and activist who grew up in Colombia. 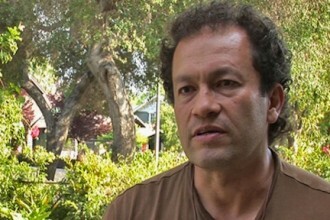 When he was a college student in the 1980s, he was tortured by the Colombian military and subsequently left his country. Hector now lives in California and travels internationally to teach workshops and present his plays through the non-profit ImaginAction. 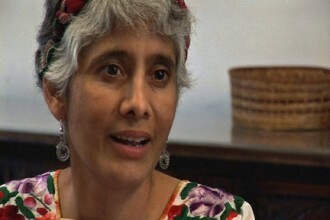 Matilde de la Sierra, a Guatemalan physician, now lives in Chicago with her husband Jim Manzardo. Matilde practiced in a village that was home to Guatemala’s indigenous Mayan population. She was the only medical doctor in the region and – together with the Catholic church – she advocated to build a hospital on land that was used for military training. This put her in conflict with the Guatemalan military. Matilde was abducted and tortured and, more than a decade later, still suffers severe effects on her health, memory, and flashbacks.